all entry fees to monuments, concerts, etc. Life, as we know, is precious, uncertain and mysterious terrain. 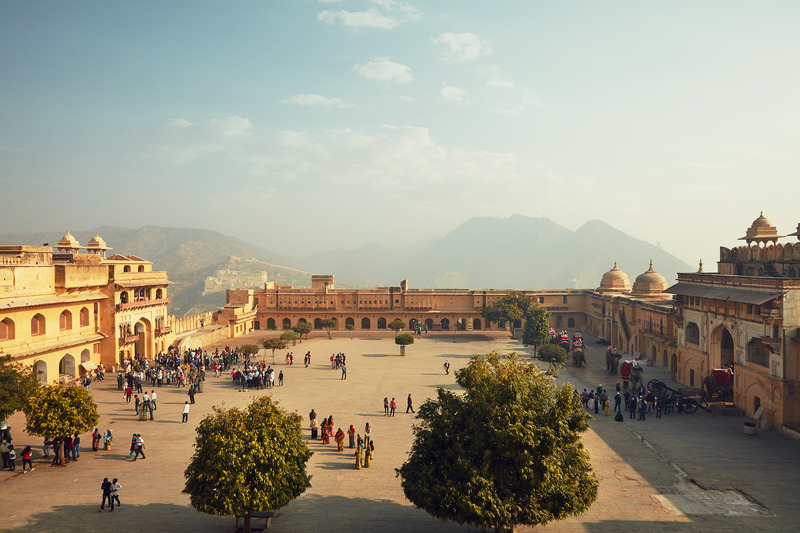 On this journey, we will explore the beautifully complex cultural terrain of North India, the practice of yoga, and the vast inner landscape we each contain within. In today’s world, it’s easy to lose track of the beauty, serenity and light that exists all around us. 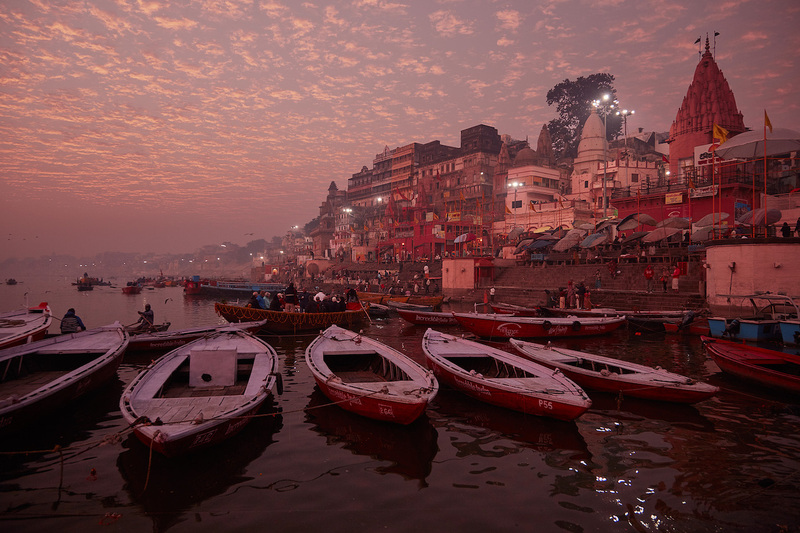 On this journey we will witness the awe-inspiring aspects of daily life that exists throughout North India as we travel from the bustling cosmopolitan city of New Delhi to India’s oldest holy city Varanasi. 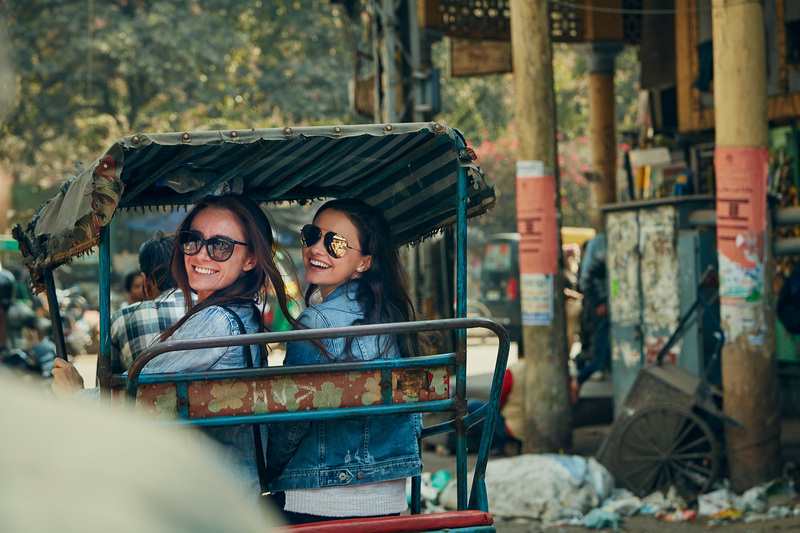 We’ll ride rickshaws through the medieval labyrinth of Old Delhi, board one of India’s famous trains for Agra, and cruise the Ganges at sunrise. 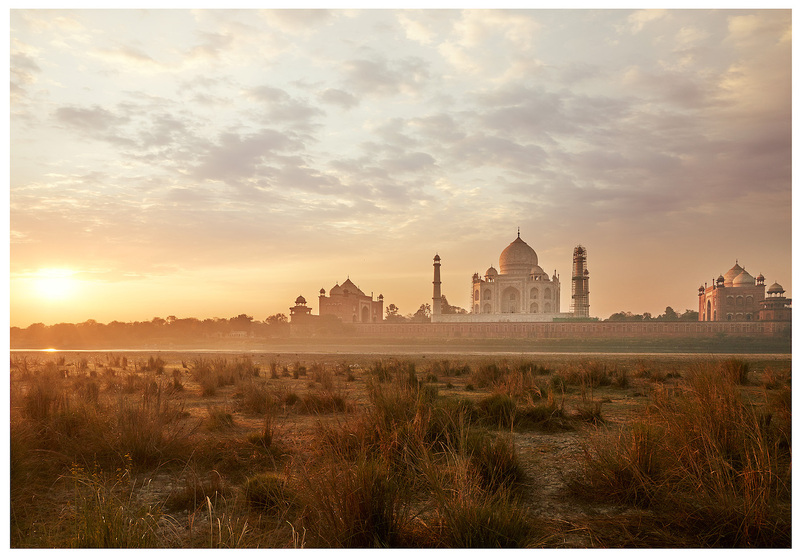 We will behold the iconic Taj Mahal — one of the seven wonders of the world and explore the majestic pink city of Jaipur. 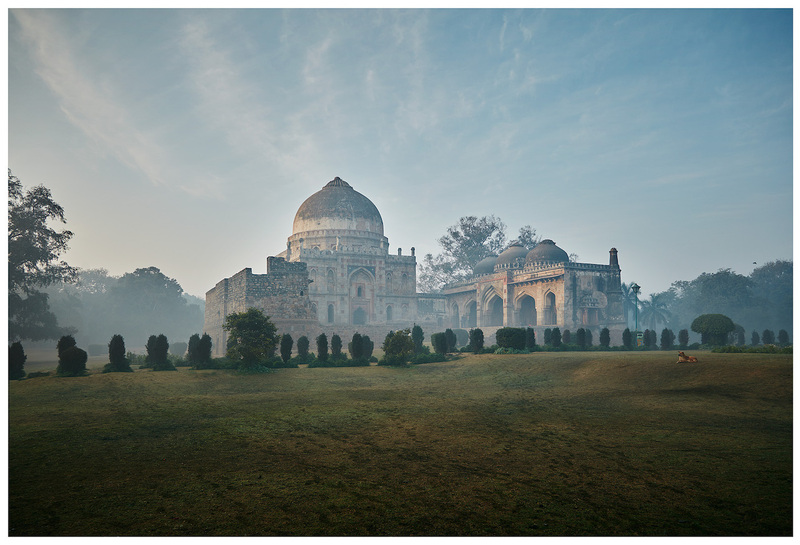 We'll breathe in cardamom and rose in India’s oldest spice shop and the aroma of incense in Hindu temples. 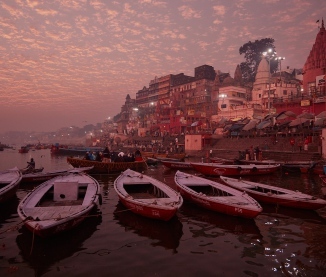 We'll share a cup tea from the corner chaiwallah and share prayers and offerings on the river Ganga. Through our daily yoga practice we will bow, honor and acknowledge the inner radiance in all beings & things, free of fear, borders or walls. Come celebrate life and each other in the motherland of yoga. A non-refundable deposit of $1000 is required to hold your space. Final Balance Policy: Final payment must be received b	... y November 1, 2019, in order to be eligible for the early bird pricing, and all payments are non-refundable.Cancellation Policy: In the event of cancellation, your entire payment will be refunded less the $1000 deposit if the cancellation is made before November 1, 2019. Payments are non-refundable after this date. Travel Insurance: We strongly recommend that you purchase travel insurance for your trip. 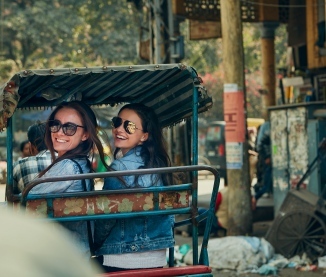 There are many travel insurance companies to choose from, but Travelex and World Nomads are two reputable organizations for worldwide travel coverage. We strongly recommend placing a deposit to secure your space on this trip as soon as possible. Given the complexity of this journey there are multiple reservations which require significant advanced booking and financial commitments. These are made on your behalf (space permitting) as soon as you place your deposit. These types of reservations include but are not limited to: multiple hotel bookings, train tickets, bus transportation, domestic flights (limited) and more. We will do everything we can to confirm all necessary reservations and permits however, we can not guarantee these arrangements without advanced booking. For questions please email info@internationalyoga.com. 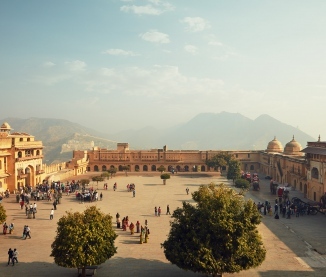 What cities in Northern India will we visit? For this program you would fly into and out of Delhi (airport code: DEL). No, there are no group airfares, as we will have people joining us from all over the US, with some arriving early, some arriving late, some using miles, etc. We are happy to provide guidance and review any itineraries you find. Please contact us before purchasing flights, and as always, travel insurance is strongly recommended. 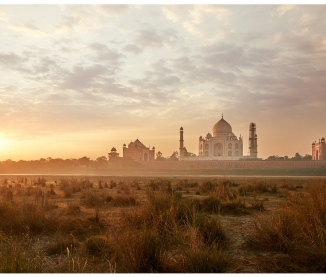 How will I book my domestic airfare for travel within India? Domestic airfare is NOT included in the price, but we will take care of the booking for you so that we all travel together once we arrive in India. 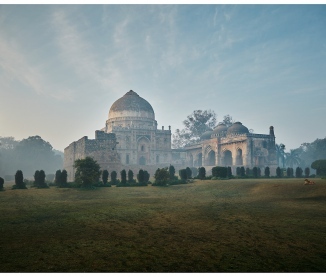 We will be staying at gorgeous 5-star hotels chosen for their location and quality of service throughout Northern India. We’ve used them all for groups in the past. Please contact us at info@internationalyoga.com for details on where you will be staying for your specific itinerary. Do I need to bring a mat and will props be available during yoga classes? Yes, please bring your own mat in addition to blocks and a strap if you use props during your practice. Are all levels of yoga experience welcome, from beginning to more advanced? Yes, all levels are welcome. You will find that wherever you are in your practice you will get just what you need out of the yoga classes on this retreat. International Yoga works only with experienced and extremely qualified teachers, which ensures that everyone’s yoga needs will be met. All retreats include a $1000 non-refundable / non-transferable deposit, which is required to hold your spot on the trip. If you cancel prior to November 1, 2019 we will refund your payment minus the non-refundable deposit. All payments are non-refundable & non-transferable after November 1, 2019. International Yoga must strictly adhere to its cancellation policy to offset costs incurred prior to the commencement of retreat. Click here to view the Terms and Conditions to which you agree upon registration.